President Rodrigo "Rody or Digong" Duterte delivers his first State of the Nation Address (SONA) this afternoon, July 25, 2016, at the Batasan Pambansa. You can watch below the live stream of President Duterte's 1st SONA, made available on Youtube by RTVMalacanang. 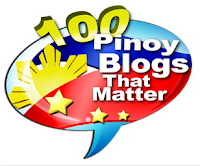 The SONA transcript meanwhile has been posted down there. Just scroll down. Spotted gracing the event were three former President of the Philippines, Fidel Ramos, Joseph 'Erap' Estrada and Gloria Macapagal-Arroyo, seated in just one row (but not beside each other). It would have been a great sight if Noynoy Aquino was also in attendance. 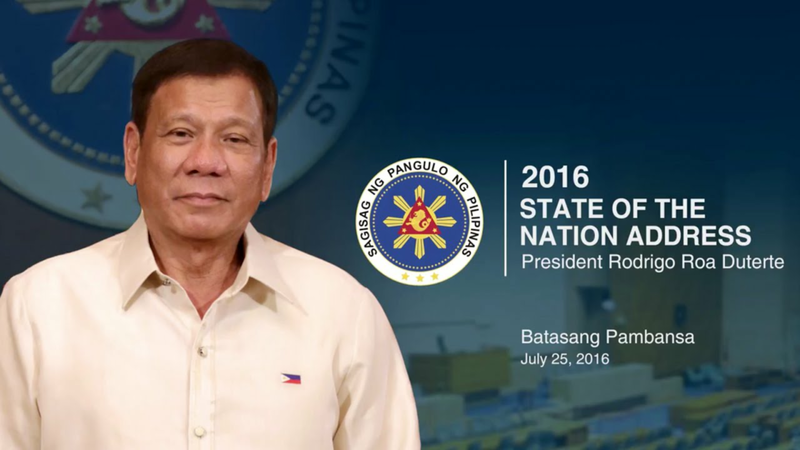 Duterte SONA 2016 Speech (delivered in English, Tagalog and Bisaya) lasted for more than an hour. Read on for the speech transcript made available for everyone via the government website, www.gov.ph. Thank you. Please allow me little bit of informality outset. You would realize that the three guys in the elevated portion of Congress are from Mindanao. So, wala talaga kaming masabi. Senate President Aquilino Pimentel III, members of the Senate, Speaker Pantaleon Alvarez, Vice President Maria Leonor Robredo, former President Fidel Valdez Ramos, President Joseph Ejercito Estrada, and President Gloria Macapagal-Arroyo, Chief Justice Maria Lourdes Sereno, Justices of Supreme Court, His Excellency Papal Nuncio and members of the diplomatic corps. I have also to greet the Executive Secretary Salvador Medialdea, the members of the Cabinet, fellow workers in government, my countrymen. We cannot move forward if we allow the past to pull us back. Finger-pointing is not the way. That is why I will not waste precious time dwelling on the sins of the past or blaming those who are perceived to be responsible for the mess that we are in and suffering from. Except maybe to extract a lesson or two from its errors, we will not tarry because it is the present that we are concerned with and the future that we should be prepared for. Lest I be misunderstood, let me say clearly, that those who betrayed the people’s trust shall not go unpunished and they will have their day in Court. And if the evidence warrants, they will have their day of reckoning too. When I decided to seek the presidency of this republic, I knew what the ills of our country were; I knew their causes; and I was briefed on those who caused the causes. I heard the people on the streets complain that justice had become illusory; that equity and fairness and speedy disposition of cases had deteriorated into hollow concepts fit only for masteral dissertations. It was, and still is, very sad indeed. As a former prosecutor, I know that there are ways of knowing how fast or how slow cases go. What I did was to look into the number of postponements and the time difference between each postponement and the next setting. It was as simple as that. I will appreciate deeply if we all in government attend to this urgent need. I was determined then as I am determined and better now positioned, to wage war against those who make a mockery of our laws including those who make life for us all miserable. I wish to assure everyone though that vindictiveness is not in my system. Just like you and I, all equal treatment and equal protection are what I ask for our people. But we must have the courage to fight for what we believe in, undeterred by the fear of failing or losing. Indeed, courage knows no limits, cowardice does. At this point, there concerns few I wish to convey to all to the end that as I perorate on facts, figures, programs, plans, problems and solutions, these concerns will not dissipate or get lost along our way. Thus to our religious, bishops, leaders, priests, pastors, preachers, imams let me assure you that while I am a stickler for the principle of separation between church and state, I believe quite strongly that there should never be a separation between God and State. During my inauguration last (June) 30, 2016, I said that the fight against criminality and illegal drugs and corruption will be relentless and sustained. I reiterate that commitment today, and that is why I call on the Philippine National Police, the barangay chairmen, the Mayors, the Governors and all those occupying seats of power and authority, not to lower their guard. There will be no let-up in this campaign. Double your efforts. Triple them, if need be. We will not stop until the last drug lord, the last financier, and the last pusher have surrendered or put, either behind bars or below the ground, if they so wish. To our police officers and other officials, do your job and you will have the unwavering support of the Office of the President. I will be with you all the way. Abuse your authority, and there will be a hell to pay, for you will have become worse than criminality itself. I order the National Police Commission (NAPOLCOM) to hasten the conduct of investigation and adjudication of administrative cases against police officers involved in criminal activities and illegal activities and prescribe policies on lifestyle checks for PNP members. In this quest, I will put at stake my honor, my life, the presidency itself. The DILG is also directed to strictly monitor how LGUs perform their supervision functions over the police and those found not performing will be sanctioned including the loss of police deputation from the NAPOLCOM. Let me repeat my warning to all, do not do drugs because you will be the solution to the drug crisis that has engulfed, “malawak” the nation. We will create an Inter-Agency Committee on Illegal Drugs that will integrate efforts and strengthen the partnership of all stakeholders. The reservists will be mobilized for information campaign against drug use and the dissemination of information regarding drug rehabilitation programs being offered by the government. Let us also strengthen our ROTC Program to instill love of country and good citizenship. We will also prioritize the rehabilitation of drug users. We will increase the number of residential treatment and rehabilitation facilities in all regions of the country. The Armed Forces of the Philippines (AFP) will facilitate the preparations for the use of military camps and facilities for drug rehabilitation. There can never be no real, tangible and felt development without making our people feel secure. And it is our duty to uplift the people’s welfare. With this, my administration shall be sensitive to the State’s obligations to promote and protect, and fulfil the rights of our citizens, especially the poor, the marginalized and the vulnerable. Social justice shall be pursued, even as the rule of law shall at all times prevail. My administration shall implement a human approach to development and governance, as we improve our people’s welfare in the areas of health, education, adequate food and housing, environmental preservation, and respect for culture. Human rights must work to uplift human dignity. But human rights cannot be used as a shield or an excuse to destroy the country. Your country and my country. Meantime, since our country continues to be confronted with internal security threats aggravated by the existence and activities of the terrorist group Abu Sayyaf Group, full force of the AFP will be applied to crush these criminals who operate under the guise of religious fervor. The AFP shall enhance its capability to search and engage these rogue and lawless elements. We have to strengthen our coordination with Indonesia and Malaysia to suppress the kidnapping in the waters of our neighboring countries. We will strengthen our counter-terrorism programs by amending various laws on human terrorism, terrorism financing and cybercrime. This is our answer to the challenges of global development’s non-traditional threats, transnational crimes and fanatical terrorism. Addressing global warming shall also be our top priority, but upon a fair and equitable equation. It must not stymie our industrialization. We must also endeavor to develop and cultivate partnerships with nations sharing common interests and concerns with the Philippines; maintain and sustain bilateral and multilateral consultations and dialogues. We will continue to expand cooperation on human assistance and disaster response, maritime security and counter terrorism. We shall deepen security dialogues with other nations to build greater understanding and cooperation. With regard to the West Philippine Sea, otherwise known as China Sea, the Philippines strongly affirms its respect for the outcome of the case before the Permanent Court of Arbitration as an important contribution to the ongoing efforts to pursue the peaceful resolution and management of our disputes. On the aspect of our peace processes relating to our engagement with the international community, the Philippines shall remain committed to continue thorough working with our international partners and stakeholders in achieving lasting peace and progress in the country. We will vigorously address the grievances that have been expressed time and again, not only by the Bangsamoro, indigenous peoples and other groups for security, development, fair access to decision-making and acceptance of identities. Enduring peace can be attained only if we meet these fundamental needs of every man, woman and child. All of us want peace, not the peace of the dead, but the peace of the living. We express our willingness and readiness to go to the negotiating table, and yet we load our guns, fix our sights and pull the trigger. It is both ironic and tragic— and it is endless. While we extol the bravery and heroism of our soldiers, kayo do the same for their members and fighters, what I see instead are the widows and the orphans. I feel their pain and grieve, and no amount of cash assistance or the number of medals cannot compensate the loss of human lives. Sorrow cuts across every stratum of society. It cuts deeply and the pain lasts long. That is why, I reach out to all of you today. To our Muslim brothers, let us find, let us end the centuries of mistrust and warfare. To the CPP/NPA/NDF, let us end these decades of ambuscades and skirmishes. We are going nowhere, and it is getting bloodier by the day. To immediately stop violence on the ground, restore peace in the communities and provide an enabling environment conducive to the resumption of the peace talks, I am now announcing a unilateral ceasefire with the CPP/NPA/NDF effective immediately, and call on our fellow Filipinos in the National Democratic Front and its forces to respond accordingly. Let me make this appeal to you: “If we cannot, as yet, love one another, then in God’s name, let us not hate each other too much,” so it was said. I say the same to you. We will strive to have a permanent and lasting peace before my term ends. That is my goal, that is my dream. On the macroeconomic management, my administration will continue and maintain current macroeconomic policies, and even do better. We will achieve this through prudent fiscal and monetary policies that can help translate high growth into more and better job creation and poverty reduction. By the end of my term, I hope and pray to handover an economy that is much stronger, characterized by solid growth, low and stable inflation, strong dollar reserves, and robust fiscal position. On taxation, my administration will pursue tax reforms towards a simpler and more equitable, and more efficient tax system that can foster investment and job creation. We will lower personal and corporate income tax rates and relax the bank secrecy law. Eh naging Presidente ako, ayaw ko sanang makialam dito, sa mga ito. Alam mo na. Anyway, may I continue. At the household level, there must be sufficient income for all Filipinos to meet the basic food and non-food needs of their families. We shall continue to attract investments that will generate thousands of jobs each year — jobs that are suitable for the poor and less skilled members of the workforce. Reforms to ensure our competitiveness and promote ease of doing business will be mandatory. Relaxing certain constitutional restrictions on the economy will be needed to make us more attractive to foreign investors. Developing labor-intensive industries such as manufacturing, agriculture and tourism shall be pursued. We must also invest in human capital and ensure equal access to economic opportunities. The implementation of the Responsible Parenthood and Reproductive Health Law must also be put into full force and effect so that couples, especially the poor, would have freedom of informed choice on the number and spacing of children they can adequately care and provide for, eventually making them more productive members of the labor force. When employment is not an option, for instance in extremely rural neighborhoods, entrepreneurship will be advocated. We shall also enhance local business environment by addressing bottlenecks in business registration and processing, streamlining investment application process and integrating the services of various government offices. Government Financial Institutions (GFIs) shall come up with out-of-the box financing packages to capacitate our small and medium entrepreneurs. In the field of tourism, we shall construct more access roads and tourism gateways to service centers and tourist sites. Road development projects shall complement with the thrust to provide modern agriculture infrastructure by expanding and improving the construction and rehabilitation of irrigation facilities and establishing modern harvest and post-harvest facilities to minimize losses. We shall also conduct a nationwide soil analysis to determine areas most suitable for rice farming to optimize production with the use of effective soil rehabilitation and fertilization. We shall strictly enforce fisheries laws, particularly on illegal fishing and promote aquaculture along river banks and in backyards. On the other hand, we will accelerate infrastructure spending by improving national roads and bridges and implementing the Mindanao Logistics Infrastructure Network and other road network master plans. We shall pursue inter-island linkage projects. We shall be implementing structural mitigation measures, to address the perennial flooding In Metro Manila and neighboring areas. We shall put up new pumping stations in strategic places. The revival of the operation of the Pasig River Ferry Service System is a viable option for the severe traffic congestion in Metro Manila. This serves as an alternative mode of transportation for passengers particularly those coming from the east side of Metro to reach specific destinations within the cities of Manila, Mandaluyong, Pasig, Taguig, Marikina and Quezon City. Our anti-colorum campaign and out-of-line apprehension including the removal of illegal terminals shall also be intensified. To address lack of road infrastructure in Metro Manila, usage of existing roads will be maximized. Thus, there is a need to cooperate and coordinate with LGUs to map out secondary routes and to consult with various stakeholders, including the public transport operators. Many in government realistically opine, strictly I would have to agree, that the worsening traffic situation could be logically addressed, if Congress would also accord emergency powers to the agencies concerned. Ayaw mo? Okay lang din. Pakita namin kung gusto ninyong madalian. Alam naman talaga ninyo sagad na. Nasa inyo iyan, if you give it, fine. If you don’t give, we’ll take the longer route, slowly. And tanggapin ko iyong pagmumura ninyo, huwag lang sa malapit. Eh ganoon talaga eh… it’s an urgent and immediate situation, solution. Gusto ninyo madali, okay. ‘Pag ayaw naman ninyo, because baka sabihin ninyo graft and corruption lamang, ‘di okay. I assure — wala ito sa script… I assure you, this will be a clean government. If that is the only worry that you have, and I can understand you deeply. Wala na ito sa… haba… wala na ito sa script. You know, ako makagarantiya, 101% it will be clean. Problem is I can only act through agencies and departments. That’s why I urge you na maski konting maliit lang, wala akong ano doon… wala na akong politika, wala na lahat. I’m through, off the list. I just pass on to you the information that, you know, up to Secretary selection, I cannot guarantee their honesty and competence at all times. Cabinet members, yes. Pero iyong sa baba — procurement, iyong bidding diyan… but as far as I can relate it is malinis talaga ito. Basta pag-usapan namin sa likod about the federal system. You know, my advice to you is: maintain a federal system, a parliament, but be sure to have a President. Huwag, hindi na ako niyan, I’m disqualified and by that time I would no longer be here. But I can commit today, to the Republic of the Philippines and its people, if you hurry up the federal system of government and you can submit it to the Filipino people by the fourth, fifth year — kasi proseso ‘yan eh — you call for a referendum and after that call a presidential election, I will go. Sibat na ako. But you must have a president, you copy the France system. Huwag mong hayaan ‘yang puro na parliament, delikado. It takes time even for the—iyong kagaya ng England ‘no, because of this bomb… alam mo double deck, took them time really. Just no one apparatus for the Commander-In-Chief down. You cannot be president, you can elect. Maybe Tito Sotto will be a lucky guy at the time. Oh ‘di, limitahan mo lang. Processing time in issuing permits and licenses shall be reduced to the barest minimum. In my city, it is always three days for local government. That will bind the Office of the President down to the last barangay. Three days, three days, local government. Business permit, clearances—hindi, teka lang. No follow up. Bigyan mo ng stub, be back next week, tingnan mo iyong work load and I will require every department, iyong dito sa itaas, they must have a logbook. Huwag sa computer, okay, itong ganito na mai-erase ‘yan. Ilagay mo day, time, I accept the document of Rodrigo Duterte, then go to your computer, you must have an actuarial projection there. Look at the work load, napakabobo mo naman… oh ilan ang work load ninyo, tapos pag bumalik ka dito August 3, 3:00 O’clock, ibigay mo, ibigay mo. Ngayon I will be establishing 8888 only dedicated to corruption. Pag may marinig ako sa Executive Department, even a whisper, even a whisper, hiwalay-hiwalay na tayo. Marami diyan sa, diyan sa gallery, marami diyan walang trabaho, nag-a-apply hanggang ngayon. Hindi naman lahat kasi mayayaman iyan eh, mga asawa ninyo ata iyan. While the issuance and distribution of motor vehicle plates at point of sale or through motor vehicle dealers shall be considered. Wag na sa LTO kasi hanggang ngayon, panahon pa ni Hesukristo iyong first plate nila hanggang ngayon wala pa. Bayad na iyon, until now sa awa ng Diyos. For the driver’s licenses, its effectiveness will be extended from the current 3-year period to 5 years. To reduce queuing time at ticketing stations, tickets sa mga train will be made readily available and easily accessible to the riding public kung bilhin mo iyan sa malls, stalls and stores, ipinagbibili mo iyon sa… diyan mo na ibigay, accredited. Wag doon banda sa Recto kasi kasi sigurado pekein iyan ng mga ulol. May I address again to the Philippines. Ako po ay doble ang pagod para sa inyo, para sa kapakanan ng bayan. Seryoso po ako. Kayong mga ganoon, tiket-tiket at magkaroon ng gulo, huwag ho ninyong gawain iyan. Ito na iyong warning ko, you know, last. Wala ng iba, hindi ko na gagawin, wag ninyong sirain iyong mga bagay-bagay na ginagawa namin para sa kapakanan ng tao. Mabuti iyang magkaintindihan tayo. Kaya wag ninyong gawin. Simple lang iyan eh. Para walang away sa gobyerno iyong mga bagay na illegal at masama at hindi tama, wag mong gawin at hindi kami mag-aaway dito. Pati iyong pari, pati si Pope tinamaan. Let us be clear with each other, I am for the comfort and the welfare of the Filipinos. Kayo namang hindi pa bungog dyan, hindi pa pumasok iyang mga droga, kung ayaw ninyong mamatay, ayaw ninyong masaktan, wag kayong umasa diyan sa mga pari, pati human rights, hindi nakakapigil iyan ng kamatayan. So, wag ninyong gawin. Eh tapos nandiyan ka nakabulagta and you are portrayed in a broadsheet na parang Mother Mary cradling the dead, cadaver of Jesus Christ. Ayan ang mga yan eh. Magdadramahan pa tayo dito. Dito ako nakatingin kasi nandito iyong public eh. Alam mo ilang beses ko nang sinasabi, sa Davao huwag mong gawin, kasi magkakaproblema tayo. He who is the cause of the cause is the cause of them all. Ikaw iyong nag-umpisa, you swallow—ulitin ko ha, he who is the cause of the cause is the cause of them all. Kami nagtatrabaho lang. We have a nation to guard. We have millions of people to see that they are healthy. It’s a question of drugs, it’s a question of public interest, public order. Kita mo lesser crimes, wala na kasing magnanakaw, wala na nag-holdap. Kasi para yan—bakit itatapon sabi nila eh maliliit lang iyan. Gamitin mo utak mo. If you are able to contaminate, kagaya ng negosyo ng mga Chinese, wholesale yan sila. Maski konti-konti, kung the whole ng pondo contaminated, pera yan. I am not saying in Chinese the practice of itong wholesale/retail, maski na kumita lang isang piso dyan, okay na iyan. Kasi paramihan eh. Yan ang ibig kong sabihin. I hope the military and the police will not react on this…its part of the deep intelligence that we gathered. I am forced to come and in public kasi iyong mga pari nag-aano. Alam mo, kayong mga media, naghanap kayo ng “where is the big fish?” Saan iyong bilyonaryo na mayaman, iyong mga may kotse, may mga Mercedes, ma’am nandoon yan sila sa labas, wala dito. Maghanap ka ng isang battalion na police para hulihin natin doon, kung kaya natin. They direct the traffic of drugs sa kanila. Meron silang ganito, malaki, real time nakikinig sila ngayon dito. I am 101 percent nakikinig sila dito. Saan doon? Doon lang. Isosoli nila sa pondo, o itapon mo diyan, tapos umalis ka kunin sa tindahan yung bag o package. Di ba sabi mo nakikita ng media. Kayo lang ang nagba-brand niyan na drug lord eh. Those are not the drug lords, mga lieutenant, delivery boy iyan, kung baga LBC lang yan, pati DSL, Federal. Pati iyong tawag nilang basura, iyon yung threat ano—huwag kayong maghanap. Gusto ninyo sabihin ko sa inyo, puntahan natin. I will give you the names. I’ll show you the intelligence data. Pero give me the guarantee na may gawain ka. Kasi I will give you the name, I’ll give you country, kung wala pa ring gagawa mag-shut down tayo—kaya hindi lang kami … we do not get too personal about our work here. I am saying that I—dito oh, balik na tayo. Kasi iyong hindi nakakaintindi na mga Tagalog, ano na iyong, tagal naman nitong—Passenger capacity congestion shall be addressed by increasing the number of running trains from the current 16 trains with a total of 48 cars per hour, to 20 trains with a total of 60 cars per hour; increase train speed from 40 (kph) to 60 (kph). Ang problema nito, iyong mga railways—hindi na ito kasali diyan; huwag kayong maniwala dito. Two-thirds of this are mine, the other third is—korek iyong grammar ko. Ayaw lang nila. Sixty kilometers per hour, problema nito, and you must agree with me that the rails are quite aged. Most of the rails maybe. Noon pa ‘yan sa panahon ni Marcos, Imelda. Nandiyan pa. Ngayon, sabi ni Tugade, “Sir, ito sa akin ha, sabihin ko 40 to 60 kilometers per hour.” Sabi ko, “Art, sigurado ka maka-hold ang rail niyan? Baka maputol iyan, magdiretso ang tren sa Cavite. Dumiretso sa Cavite, maglipad, doon kay Tolentino, “Oh, bakit may tren dito sa Tagaytay?” It’s quite fast, quite fast, 60 kilometres per hour and it’s pulling something that is heavy. When it really moves … mawalan ng ano … it moves with the speed at a heavy thing at a great speed, mahirap mong … sumasadsad kasi mabigat eh. And reduce headway time from 5 minutes to 3 minutes. Mahina lang tayo ng—ang plano ni Tugade, mahina lang tayo ng one minute sa Hong Kong. Two minutes, kaniya three minutes eh. Art, ambisyoso ka. Kaya mo kaya ito? Specifically for the LRT, the operating hours shall be extended from 9:30 to 10:30 PM. So marami pang mga batang uuwi niyan. And to absorb more passengers, delays in the procurement of additional trains shall be addressed soonest. Now, iyan ang sinasabi ko. If you want to know me, fine. Wala akong problema. Sabihin ninyo na doon ang … we go the normal way. If you’re able to make 46. Ang maganda nito, I have signed the Executive Order sa amin, FOI. Naunahan ko kayo. Nandoon na sa akin. Oo, tapos na ako. Iilabas ko na. it will be out today. Alam ninyo, sabi ko, unahan ko ang Congress puro mayayabang ang ano diyan. We grab the … stealing one’s thunder. Unahan na natin. So we shall also pursue rail projects in Metro Manila and the major key-points in the country including the Mindanao Rail Project. Hindi ako nagyayabang pero totoo talaga ito. We’re in the … depende sa Federal but six years, lalabas talaga ito. I assure you because it’s going to materialize. Rail projects, Davao Transit System, the Cebu Transit System, the North and South Luzon Railways and the Panay Railways project. Panay! Eh taga-saan si ano, Panay. Panay ang bigay natin para—sabihin naman ni Senator Drilon, bina-backbite dito. Lalagyan daw ng island ng train. May tawa pa. Bina-backbite ka dito. Isumbong mo iyan. Tingnan mo, tan-awa diha. Different approaches are also being considered to decongest NAIA including the possible transfer of general aviation. Ang style ko kasi, ganito, hindi naman ako … I am not fit into formalities. Itong trans-general aviation, alam n’yo kung sino ang tamaan niyan? Kayong mayayaman. Kayong may mga helicopter pati eroplano, ilipat ko kayo. Alam mo iyong general aviation, iyong mga Lear Jet, iyong sa mga kumpaniya, ilagay ko kayo sa Batanes para wala masyadong air traffic. I’m offering Sangley Point. Kasi kailangan isang runway ‘yan. I can make a new runway there. Sabi ng mga aviation experts, but tumbok niyan is the Merville Subdivision. Maka isa pa akong runway dito sa Metro Manila. But if not there, it’s going to be Clark but on a condition that you have a fast train. Sabi ko, it is something one hour of travel. Sabi ko kay Tugade, it is not acceptable. May rail there, bago, marami pa. The bow of the day is bullet train. Ilagay mo iyan sa Pilipino na drayber, sa point ko, hilo. Maglampas kayo dito. The Clark Airport can be utilized to shift some operations of our domestic and international airlines. Moreover, a one-stop shop will be established within the Clark civil aviation complex for the benefit of the Overseas Filipinos. Ito mangyari na ito. To fully utilize the Clark Airport, it is necessary to establish iyong mga … you have a rail to connect. Following day, tawag siya kay, may aide, kay Bong. Sabi niya, “Bong, okay na tinanggap na, sabi ng pamilya ko, okay na.” Sabi ko, “haay bantay ka sa … But you know, I would not be appointing somebody who is alien in to my thinking. I take in somebody who shares my horizon in life, especially iyong degradation …. Tama iyan, she’s a crusader and she will continue. The DENR is likewise directed to review all permits granted to the mining, logging and other environmental sensitive activities, ensure compliance with government standard and if warranted — ito na iyong pinakamaganda — amend, suspend or revoke permits, go ahead. I’d like to thank God that I have this opportunity, really. I never… wala namang ano, I never thought umabot ako dito. I’ve always had that crank sa isip ko mahirap itong ano. Gaya itong Laguna Lake, naubos na mga…wala na ang fishermen. Yun na lang the difference between one big fishpen to the other, iyon na lang ang sa mga tao. Makita mo sa plane, every time I go to Davao and I pass by that place there. Every time, nakita ko talagang wala nang ano. And the fishermen are complaining about the loss. Talagang wala na sila. Kasi ang maliit na lugar, iyon lang ang kanila. So dito pinadaan ko lang in a diplomatic way that the Laguna Lake shall be transformed into a vibrant economic zone showcasing ecotourism by addressing the negative impact of a watershed destruction, land conversion and pollution. Ito ang nilagay ko. This is what I’m telling you — the poor fishermen will have priority in its entitlements. Order to Gina is, “ayusin mo, Ma’am.” Huwag mo namang ipitin, but they have to reduce the areas of occupation. They cannot have their cake and eat it too. Sila na iyong may pera, this must stop. Kung sakaling tanungin kung sino ang may ari niyan, simple lang mga General, mga Mayor, Governor, baka Congressman. I mean, this is not personal. This is something which I feel that I must do, because it is the right thing to do. To have adequate disposal facility for the Metro Manila garbage, the final closure and rehabilitation of the Carmona Sanitary Landfill shall be pursued while the adoption of appropriate waste-to-energy facilities will be explored. Marami iyan, the technology is coming and very fast. In the area of governance there is a need to strengthen our efforts along this line. Taas mo na, mataas yang paragraph na iyan—select the best, anong sabi ang taas nito—mabubuang ka. To better manage public information, a law should be passed, I’m addressing to Congress, to create the People’s Broadcasting Corporation, replacing PTV-4, the government-run TV station, which now aims to replicate international government broadcasting networks. Teams from these international news agencies – I’d like to mention that, those interested, BBC — are set to visit the country soon to train people from the government-run channels to observe – ito ang gusto ko, total pera naman ng tao – to observe editorial independence through innovative programs and intelligent treatment and analysis of news reports, as well as developments of national and international significance. As we are presently setting up a Presidential Communications Satellite Office in Davao City, PBC will also put up broadcast hubs in the Visayas and Mindanao. Davao City will also be the site of the first Muslim channel, called as Salaam Television, and the first Lumad channel. The PCO shall coordinate with the Office of the Executive Secretary and the Presidential Legal Counsel in implementing the recently approved EO on the Freedom of Information. This Executive Order is out. As an example, on the part of our Executive Branch to make transparency and integrity as yardsticks in government performance, savings and expenses while engaging the public to a vigilant and to participate in government programs and projects. The PCO, in coordination with the Office of the Executive Secretary, is drafting the Administrative Order on the Presidential Task Force on media killings. This government does not condone violence and repression against media. The bona fide media, bona fide media, sometime they pronounce it bona fid, but whatever that thing is, the bona fide media has always been our partner for change. Di medyo klaro yan. Hindi, anong gawin mo sa hindi bona fide media? Yan ang problema. To address backlogs and low prosecutorial effectiveness and efficiency, the investigation and case management processes shall be streamlined, including those for illegal drugs and heinous crimes. To eradicate the prevalent cultures of fear and silence that have hounded our justice system, I ask Congress, you, to enact the Whistleblower Protection Law while the present Witness Protection Program shall be strengthened. Hirap maging Presidente, maski dito lang. The number of lawyers and support staff in PAO, that is the Public Assistance [Attorney’s] Office, regional and district offices shall be increased to provide indigents more access to counsels. At this stage, I have also have directed the DILG to undertake nationwide information and campaign on federalism in partnerships with various alliances and with LGUs, civil society, grassroots and faith-based organizations. Hinto muna ako dito, itong federalism. Ewan ko kung tama, alam mo itong bayan natin, if I may just repeat, I know that you know it. In 1521 or 1526 Magellan landed in Leyte—Kumare ko man ito, salamat mare ha. Mindanao was already Islam by 100 years. So ano ito, it’s a imperialism thing. There is a historical injustice committed against the Moro people. We have to correct it, but it is well na, impossible now. Kaya kayong mga kapatid kong mga Moro, alam naman ninyo — ako migrant ang tatay ko roon, so I’m mixed blood ako, Moro pati Christian. But you know, intindihin na lang natin ito that we cannot return to you all iyong nakuha ng mga Amerikano, Espanol, pati iyong mga Filipino mga kapitalista. Those who exploited Mindanao with that thing, sloganeering, “go to Mindanao because it is a land of promise.” With the vast entry of so many people basically coming from the Visayas, nagkaroon tayo ng… we cannot solved it the way you want to be. You have to understand each other, then you have to live with each other, but we will try. Ang sinasabi ko lang, babalik ako, dahil ako sa federalism, both Misuari, Sema and all — at least the politico leaders ng Mindanao will agree to it. We do not, remember that ako hindi ko dinidikdik yung masyadong Abu Sayyaf because it is really connected with the first talks between Misuari, the Presidents – subsequently, from President Marcos and now, until now. The only way they said that we can have this, iyong BBL ibigay na natin minus the things that you do not want, iyong mga constitutional issues, tanggalin muna natin. Ibigay ko iyong area, nandiyan na iyan eh. So I ask you, pass it minus the Constitutional issues that are contentious. Ibigay na natin at when the federal system comes, isali mo na sa package together with Misuari. That is the solution for Mindanao, nothing else, believe me, nothing else will do. Please sleep on it, ponder on it, because that is the only way to proceed. On the clamor of our citizens for timely issuance of Philippine passports, the government shall work towards amendment of the 1996 Passport Law to lengthen the validity of the passports from the current 5 years to 10 years. Tutal kayo naman ang maggagawa ng batas, you’re the ones who will pass the law, even if you make it good for 30 years, okay ako. Bahala kayo. Basta stretch a little bit because 5 years is just really simply on a regular basis. Matagal pa naman itong passport, mag-apply ako ng mga 10 days—alam mo, I’d like to call the attention of Secretary Yasay. If you go to Davao, look back doon sa… look at the back, likod ng itong mall, ‘yung malaking mall. Sige, pangalanan na natin – SM. Doon, iyong mga tao nandyan sa pavement natutulog. For the many times na nadaan ako na walang ulan, doon yan sila. Because first come, first served and the only outlet there, the outlet of your department is iyong sa SM. So iyong mga—maawa ka roon parang dito sa side ng Cotabato, lahat ng Cotabato, doon sa Davao. Karamihan niyan walang mga bahay, if you’re an applicant in Davao City, fine. But you know kung walang—mahirap kasi ano. Maka-remind yan mga Moroano, naghihiga sa mga pavement, nasasaktan talaga ako. Masakit eh. Buong gabi maghintay dyan hanggang magbukas ang SM, kasi first come first served. Kaya sabi ko—addressing to all the Cabinet members, make use of the computer. I do not want to see people lining up under the heat of the sun. I do not want to see people lining up under the rain na may mga ganun. And I want itong Labor — wala na ito sa script. Iyong prompter natutulog na siguro ito, papindot-pindot diyan. Alam mo, nandiyan naman iyan. Sabi ko what I want is a journal. When the applicant presents the documents, give them a shopping list, do not add or get anything away from it, iyon na iyong final. And when he complies with that, that is good, wag mo na siyang pabalikin. Kasi kung magtawag iyan sa 8888, my God puntahan ko talaga kayo, ‘yan ang bisyo ko nung mayor ako. Making a difference ito, mayor-presidente. Puntahan talaga kita at hiyain kita sa maraming tao. And I would publicly ask you what the hell happened to the procedure. And the reason why I do not go out, I do not accept invitations — hindi ako tumatanggap — because every time I traveled around Manila it causes a huge congestion. Kasi pati itong pag-uwi ko is, this is also my projection — paglabas ni presidente, ano yan picture taking, ganoon and they start to block the… iyong roads access to the… ganoon iyan every time ang President go out, ganoon iyan. So paparahin nila iyan, sabihin nila dadaan iyan by this time, in the meantime sarado iyan, di paglabas ko kala mo Biyernes Santo, walang sasakyan diyan. Yun pala exponentially ang traffic, the tail-end of the traffic is somewhere, five kilo—and it would take about two to three hours to normalize. Kaya hindi ako tumatanggap nang—and I hate to travel. Kasi talagang lilinisin iyan eh, ito namang—ang taas kasi ng entourage Presidente, dulo sa dulo may ambulansiya. Hindi lang entourage, parang cortege na. Sabi ko dalawa, tatlo tama na, sa gitna lang ako. Pero ang totoo mag-taxi lang ako dito sa likod, sunud lang ako, Eh takot ba sila na… ano ba ang makuha mo kung patayin mo ako? What for, may ambulansiya roon, dagdagan mo na lang punerarya. I have also ordered the DFA to streamline documentary requirements for passport applications and open additional Consular Offices in strategic locations to decongest Metro Manila sites and avoid long queues that have caused hardships and suffering to our passport applicants. I also directed the newly-created DICT, Information and Communication Technology, to develop a National Broadband Plan to accelerate the deployment of fiber optic cables and wireless technologies to improve internet speed. Ito para ito sa… alam ko, Mahal kong mga kababayan maligayahan kayo nito. Pagpaano mo lang yung Tagalog ko, kasi eh kayo hindi kayo marunong mag-Visaya, eh di. Wi-Fi access shall be provided at no charge in selected public places including plazas and parks, public libraries, schools, government hospitals, train stations, airports and seaports. All government agencies are instructed to enable their clients to submit applications for coordination, other agencies combined. Taas mo, wala na iyan, ayaw mo magsalita. And national portal, yes because it’s our… parang website. Ito: We shall intensify… mainit talaga ako dito. I place it in parity to drugs. We shall intensify our war against human traffickers and illegal recruiters that prey on our migrants. To help ensure that the hard-earned money of our Overseas Filipinos are put into productive use, a mandatory financial education for all migrant families and their communities shall be pursued along with incentives to encourage entrepreneurship among them. I may now also call on Congress to consider drawing up bills consolidating and merging agencies and offices all having to do with Overseas Filipinos to have a department that shall focus on and quickly respond to their problems and concerns. Kailangan mo ng isa. Ngayon I have asked… I don’t know, Secretary Bello is here? Bebot. Wala? Absinero talaga iyan. Maski sa Cabinet absinero iyan. Gusto ko he will rent, will lease some buildings to be near sa… for overseas only. At lagyan ko na—it will direct all… BIR, lahat na. Lahat ng something to do with the clearances of the police, in one building, may booth lang. I said, “my God make use of the computer.” So doon lang siya mag-ikot sa isang building. Ang Filipino hindi na siya magpunta doon sa Statistics, hindi na magpunta doon sa ano, diyan, diyan sa office na iyan. Gamitin ninyo ang computer and you can get the results right after. Why do he has to travel to Malate, then has to cope with the traffic, he can only accomplish one document at one time. NBI clearances is doon na ninyo ibigay, lahat na doon na. At kung dapat… may awa itong si Bello, pakainin ninyo iyong mga tao doon, lalo na sa probinsya. ‘Pag tingin ninyo taga-probinsya, finish it right away. Make use of the computer. Kapag hindi ninyo ginamit iyan, tapon na lang ninyo. Throw away your computers and I understand that. Make use, do the computers. Taas mo na ‘yan, wala na iyan. To help avoid squatter-like conditions in relocation sites, we urge utilities like Meralco and electric cooperatives to exercise their corporate social responsibility by making direct connections to relocation sites and depressed areas. Alam mo kung bakit? Hindi na nila nilagyan diyan eh. That’s why I had to talk to you ganito. At bakit? It’s because walang kuryente pagka mahirap ka. You don’t own the land, the City Engineer will not—that is my experience, 23 years as mayor. Hindi yan magbigay ng direct connection, kasi hindi ikaw may-ari ng lupa. But that squatter there has been there for 20 years. So mag-connect, connect sila. Pagka-connect-connect nila, ang gamitin nila iyong wire na… iyong pinakamura. So, it overheats because connect-connect na lang sila kung sinong… minsan magnakaw. You know, we’ll have to make the adjustments. It is not for these people to make the corrections, because they are not in a position to do it. You have to adjust to the needs of our people. Tutal iyan namang… iyang namang squatter na iyan, as long as I sit here as President, there will be no demolitions without relocations. Hindi talaga ako papayag. Hindi naman aso iyan na—just like in Davao. I’d like to make a dialogue with the businessmen. “Sir, how much are you investing in this land, you have bought with the squatter?” So I bought it at about 60 million? Dagdagan mo ng 20 million, ako na ang bahala. Sabihin ko doon sa mga tao, “bili tayo ng relocation site or I will provide.” Government will expropriate. I will make use of the expropriation powers. Gawa ko ganoon sa Davao eh. I have 20 hectares there. I will expropriate some land there, iyong malapit lang. Then sabihin ko, “this 20 million will help your journey to a new land.” And I will urge everybody, iyong mga bagong mga factories doon sila magtayo. I have directed the concerned regulatory agencies to prioritize the issuance of required permits for power development – Okay iyan sa akin. Ang problema… sandali lang ’to. Para ka diyan. Iyong mga environmentalist, mayroon tayong ano kasi… marami iyong coal, pati iyong—ito nga, itong energy emissions, wala naman akong problema diyan. But do not tell me na if you—ambassador ka tapos sabihin mo sa akin na medyo hanggang diyan kayo, kasi kami hanggang din dito lang kami. Ano? Kayo umabot diyan. You are now in the apex of your industrial might, but along the way you are the first — America, China, Europe. Kayo bongang-bonga, until now it contribute only something point zero. So if you put so much restrictions doon sa treaty na iyan, the treaty which we are trying to… it’s still here in the Senate. Let us be very clear on this. We need to industrialize. We need the power, and therefore the emissions would also be considered. I just can’t say it. I established five economic zones here and you start to say that—you have spoken so much, carbon footprints, mahirap iyan. I mean, it’s hard. I cannot just agree on anything that will delay – I’m only good for six years. I intend to be something during my term. Now, I’m sure that the heavy machineries would come in and even the power. Cheapest is coal. So ito naman locally, you get into trouble with the Gina. So, we’ll just talk, sa Cabinet na lang. Si Gina naman is a very fine lady, huwag ka lang magsimangot sa harapan niya. Bigyan ka niya permit maski lima. Magsimangot ka, zero. All that she is today is just be gracious to her, that’s all. It’s a matter of talking and explaining with her. But if it is the—you are using the state-of-the-art technology, and I’ve seen it several times in the other power plants in this country, if it is really a good one, then we will consider. I said because we need the energy to power our industrialization. To strengthen the delivery of social services, the government will intensify its social protection programs so it can use its resources and expertise to make a dent in the country’s poverty levels. What we want is genuinely to reduce vulnerabilities of our people, build resiliency and empower individuals, families and communities. The beneficiaries of 4Ps shall be made to become independent and self-reliant after they have graduated from the program. We aim to present them with other forms of assistance so that they can stand on their own feet. We are planning to increase spending for basic education and incorporate mandatory education about the evils of drugs. We will also intensify and expand the Alternative Learning System programs. The government will also provide universal health insurance for all Filipinos benefits… Sali na lang natin sa PhilHealth. The professional competence and operational capabilities of government hospitals and health facilities shall be strengthened. Consistent with our international obligations and in keeping with national mandates, this administration vows to protect women’s rights as human rights. Abuses against our women because it is unacceptable… mambugbog ka ng babae. Thus, I order all agencies, oversight bodies and local government units down to the barangay level to fully implement the Magna Carta of Women. By doing so, we will ensure that man and woman will truly be partners in the pursuit of the country’s economic, social, cultural and political development. To our Lumad brothers – and they are here, maybe outside. … outside I’m sure. I told the security to let them come in if they want. Sa kanila man ‘to. I have this to say: The government has issued to you Certificates of Ancestral Domain Title covering vast tracts of land especially in the Island of Mindanao. You have the Indigenous Peoples’ Rights Act, and the National Commission on Indigenous Peoples to protect and assist you. The government has given you the legal tool to improve yourselves financially, economically and socially. Make use of your ancestral domain. Do not let it remain idle. While the government is always ready to help you, you must first help yourself. We cannot legislate financial and economic progress for you. It is you and you alone who can do that. You can chart your fate, but you do it within constitutional and legal limits. After being devastated by natural and man-made calamities these past few years, we are still to recover emotionally from the loss of our loved ones, and materially from the loss of our homes and income sources. There are many among us whose emotional wounds are still fresh and painful to the touch. We cannot erase the images of death and destruction from our minds. We cannot wash away the stench of rotting flesh from our noses. And there are many of us who are still waiting for the help that was promised. The enormity of the problem of drug addiction has been made manifest by the number of surrenderees which grows by the hundreds each day that passes. Since July 1, we have already made 3,600 drug-related arrests. 120 (120,000) drug dependents have already surrendered and 70,000 (7,000) of the aforementioned are pushers. You think this is just a… it would take the entire resources of this government to fight this war. I have nothing but the interest of my country. But in its wake — because the PDEA say is that—it’s about—that was a statement made by the Philippine Drug Enforcement Agency. Two years ago, PDEA came out with a statement that there are 3 million drug addicts in this country. That was two or three years ago. How do you think would the number, incrementally, if we count now. Give it a liberal addition, maybe… lagyan mo ng seven thousand. So, 3 million 7 hundred thousand. The number is quite staggering and scary. The drug lords that you desperately want to strangle are not here. Walang mga bilyonaryo dito. The ones that you catch, running after are just the lieutenants. They do it by technology. They’re cooking it in the international waters. Tinatapon nila iyan bulto, by the drums, dikitan nila ng GPS. So, makikita agad. We are hard put sa intelligence, because they’ve invented this direct satellite. Hindi na magdadaan iyan ng… all they have to do is to triangulate where the… pag-ikot noon. And there’s so many… and they’re in coves. If we do not help from our friends here in Asia and America and Europe, the sheer number and problem, believe me, will drown us as a republic. Kayo, tignan ninyo ito. How I can I solve the problem now by arresting? Hinahanap ko… matagal na akong presidente. Gusto kong patayin, ang problema pupunta pa ako doon, then I’ll ask the permission from this country that I will be on because I have to slaughter these idiots for destroying my country. Ganoon iyon eh. Hindi lang kasi naintin—ayaw pa naman bitawan, kasi ayaw naman kasi ng military, pati police. But you know, I said, I’ll be talking in front of the Republic through its representatives, for the people. So I have to tell you how do we solve this problem? Tell me. Ako naman okay lang eh. Make it public, fine. Make it confidential, if you go to mayor, go to you, to your house, okay. But that is really the enormity of the problem. It’s so enormous that you are intimidated even just to make a move. Because you know you cannot stop it anyway. Mabunggo mo isa dito, hinulog sa dagat eh marami namang nagluluto doon. It’s a free for all enterprise for the criminals at this time. Kung ako, if I had just the plane and time I could ang sinasabi ko—sabi ko roon sa military, ‘pag nakita ninyo, eh di pasabugin mo. Maski nag-surrender iyan, may white flag, pang-gyera lang iyan hindi iyan pang-kriminal, pasabugin mo. Show no mercy to them, because they are not doing any mercy to us anyway. Bakit ako mag… iyan ang problema. But we should not despair. Like someone wrote, it is when the night is darkest that dawn breaks. We are imbued with resiliency that has been tested and proven during more difficult times. As in the past, we have to bond and act together. We have to help each other. For then and only then can we truly prevail. And the Filipino, disciplined, informed and involved, shall rise from the rubbles of sorrow and pain so much so that all the mirrors of the world will reflect the face of a passion that have change this land.